Agape Team – Grace Team Ministries, Inc.
One of the visions of Grace Team Ministries is to be an agent for tangible grace. With a heart for those in need, the founding team prayed about how we could make a difference. Realizing we had a burden for the homeless, we then asked God for direction in the tangible items we could collect and distribute to those less fortunate. We were directed to gloves and travel tooth brush and paste sets. Anyone who has spent time out in the cold realizes how sensitive our hands and feet are to the extreme drops in temperature. For most of us we can simply slip on one of the many pairs of socks we have and if they happen to get wet, we simply slip on another pair. But for many…there is no such opportunity. Grace Team Ministries believes we can make a difference as we venture into our communities with teams equipped with free socks, throws, toboggans, gloves, an encouraging smile, and the hope of grace and love found in the Lord Jesus. We also are praying we can take some of these overseas as some point. 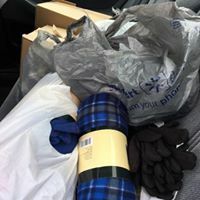 One of the main purposes of this ministry is to share grace tangibly and one of the main ways we do that is sharing of items with the homeless. Currently, we are focused on the greater Hickory, NC area but hope to expand as God provides. With that said, you may already know we are collecting winter gloves. 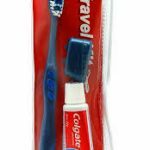 But…we have decided to collect tooth brush and paste sets to hand out too. This seems like a small thing but tooth decay and decease can cause tremendous problems and even serious health risks. So, we thought that we would offer these sets as part of our work. In them, we will include a Gospel presentation card so there is a specific type we hope to collect. These can be purchased at any Walmart for about 97 cents each. We will need public collection spots for these as well as groups who would like to take it on. We have included a picture above to give you an idea of what we are talking about. They have a zip pouch so we can include this card with them. Due to travel and distribution restraints, we will only be distributing this item domestically. Thanks for any help! We are also excited to announce that in addition to our own Candace Childers, we will at times have a psychologist that will be donating on-sight counseling help to select candidates free of charge. We are excited about this additional benefit to our field work. To do this we need you! Have a representative of you group email us at graceteamministries@gmail.com , provide us a name and phone number and we will call you to discuss particulars of how to go about collecting either of these items and how the ministry can obtain them from you. We will concentrate on GLOVE collections during the winter months and toothbrush/paste combo sets will be year-round.